The line was laid in 1898. 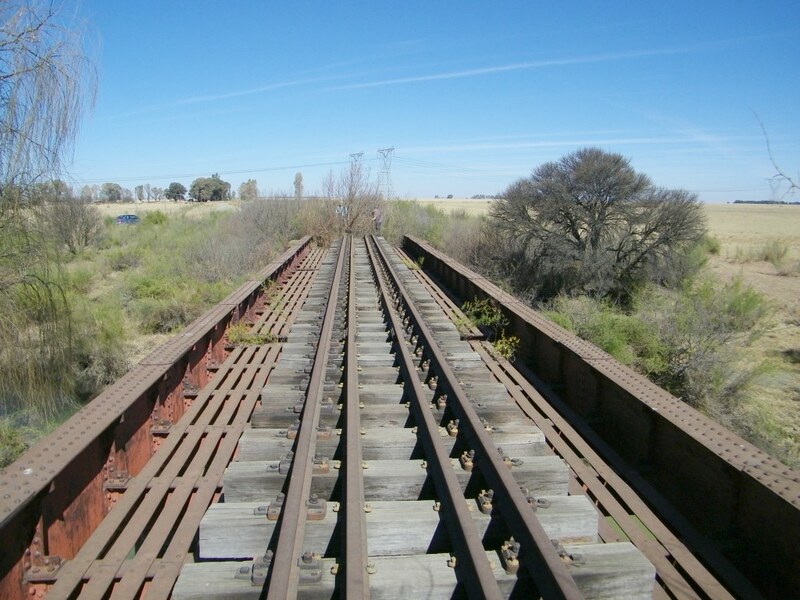 It branched off from the main line Bloemfontein to Johannesburg at Wolvehoek, which is to the south of Sasolburg. There is nothing left of the rails, the whole line has been removed. 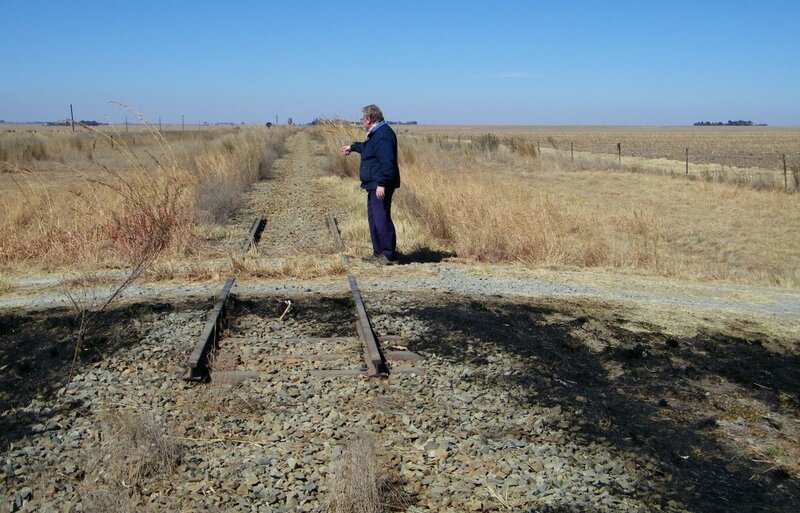 A few years ago, on a previous visit, we noticed some of the rails had been stolen (see picture from 2010), later Spoornet (that is the railway company) had the remainder of the rails removed all the way down to Heilbron. 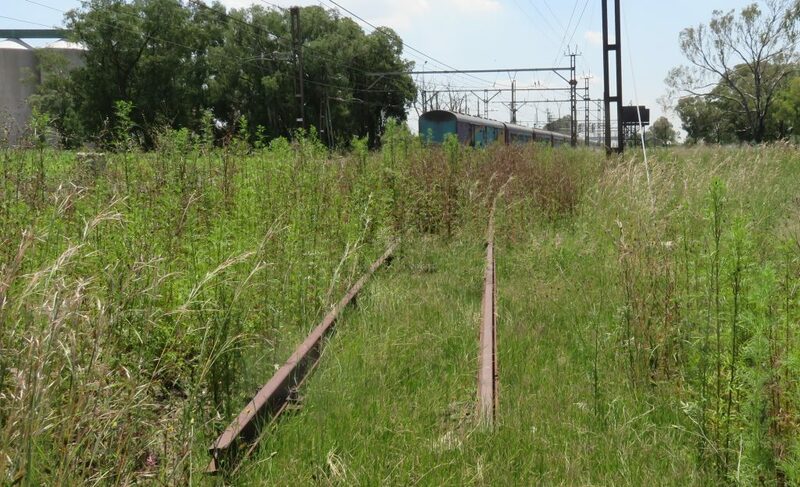 Fortunately I have pictures in the achives that show the system with the rails still present. What looks strange is that at some places the trafic signs warning of trains crossing are still in position. 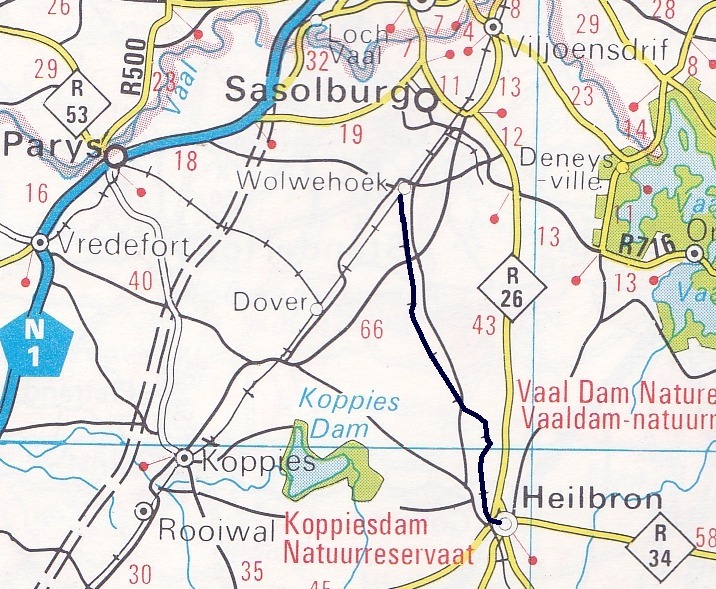 The stations along the line from Wolwehoek to Heilbron are as follows: Wolwehoek, Trafford, Skaapplaas, Versien, Gottenburg, Ryeford, Weilbach and Heilbron. The term 'station' could be missleading, I would call some of them sidings or even halts. I am only write about the stations I have something to report on. The picture on the left shows the still active main line through the station. 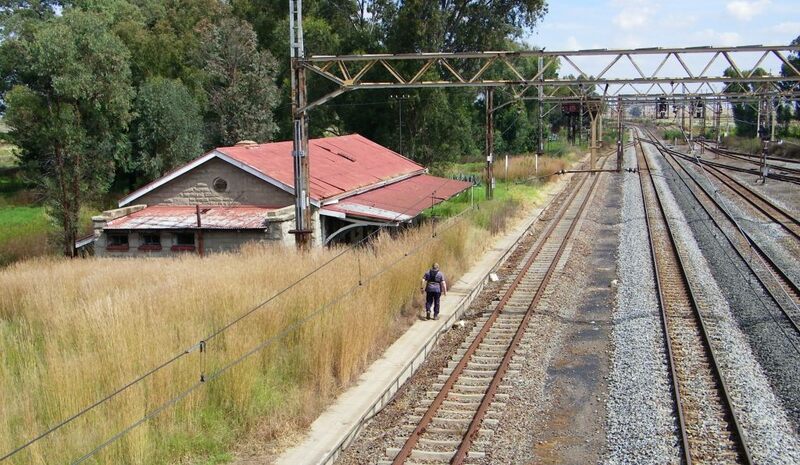 The old station building, now a ruin, is on the left and the rail to Heilbron is/was on the left. The branch-off has been removed, some of the rails have been left behind, see right. The signal is still standing. 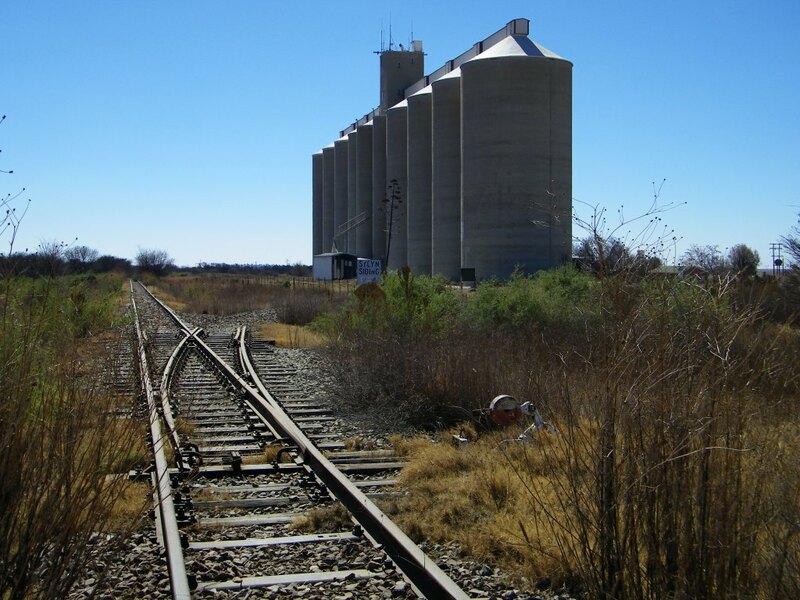 It most likely turned into a station when the silos were built. A branch-off, shown in the picture, served the silos. 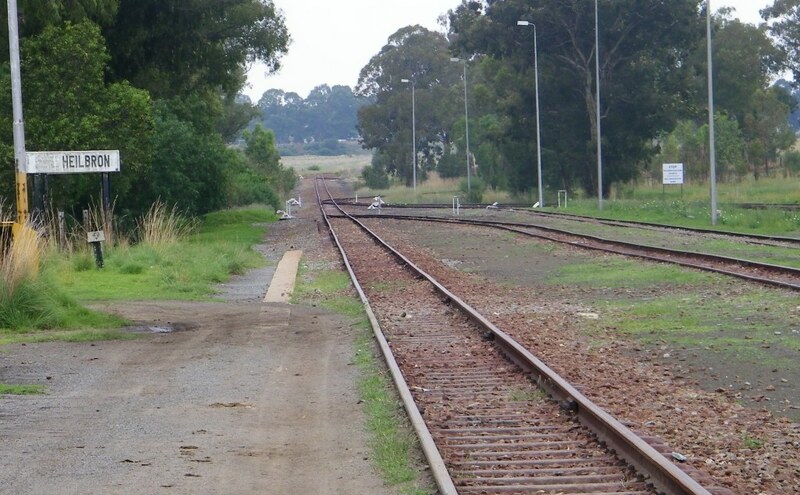 The picture dates from 2010, the rails have been totally removed and it now looks very barren. From the station itself nothing remains except the name board. Going south from Gottenburg the line crosses over two steel bridges, the first one passing over an un-named water course is a single span and the second crossing is over the Kromelmboogspruit with two spans. 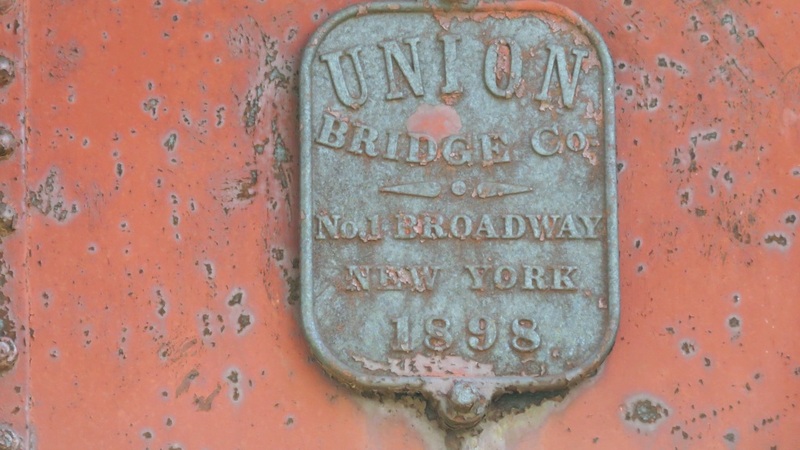 The name plate, still attached, states that the bridge was supplied by the Union Bridge Company of New York in 1898. 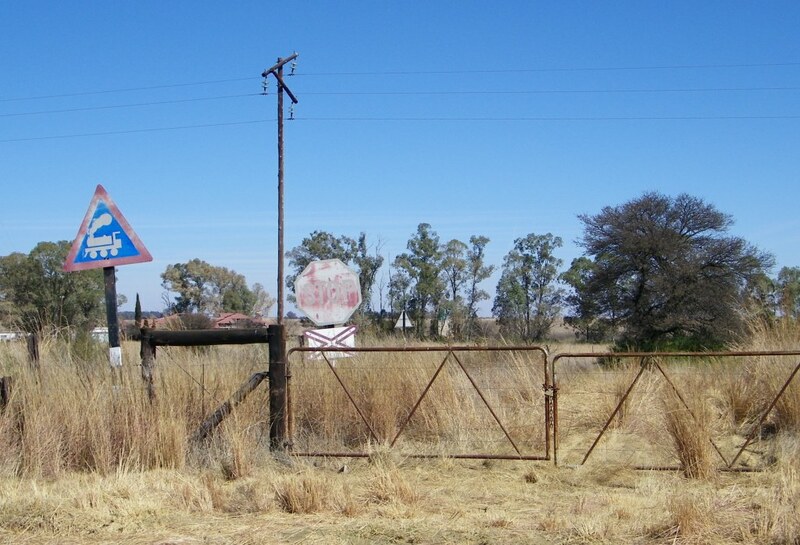 It has come to my notice (June 2018) that the bridge was a target during the Anglo Boer war. I am not sure to what extend it was damaged, but we do know what was used for the job. A grenade lodged under the rail and fired at the from a safe distance. 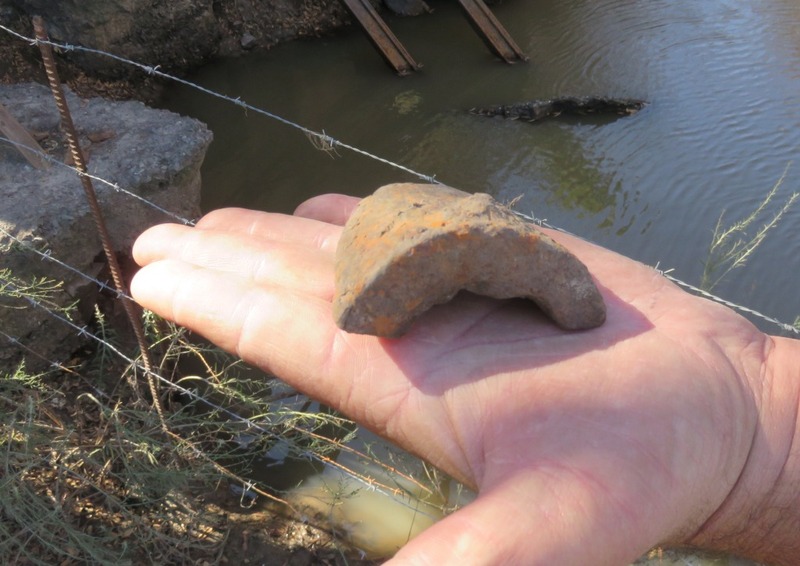 The piece of shrapnel is one of two found near the bridge. Another observation, half the bridge has been stolen, a complete span has been removed, I presume for scrap metal. 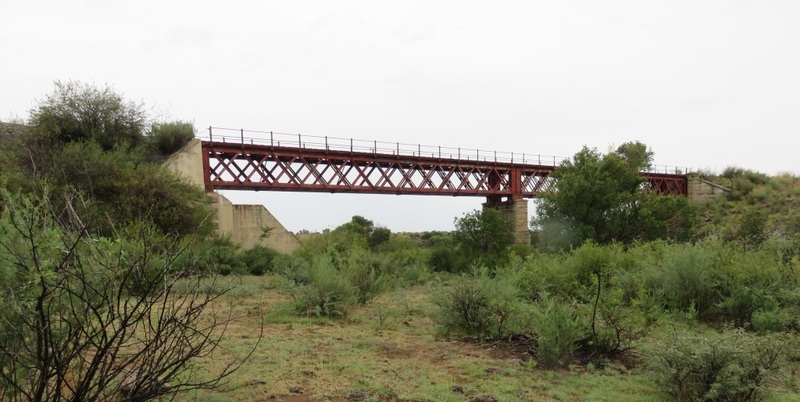 Points of interest are near the station, there is the bridge over the Elandspruit just to the north of the station and to the south a sandstone viaduct. 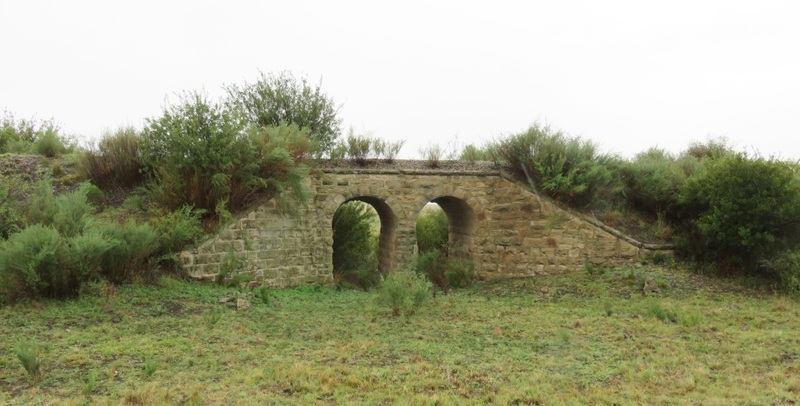 There are two sand stone bridges near Weilbach, I have only documented one of them, the other one is a single arch and thus less significant. The steel bridge is of the same origin as the other two already reported on. The name plate is exactly the same as above. 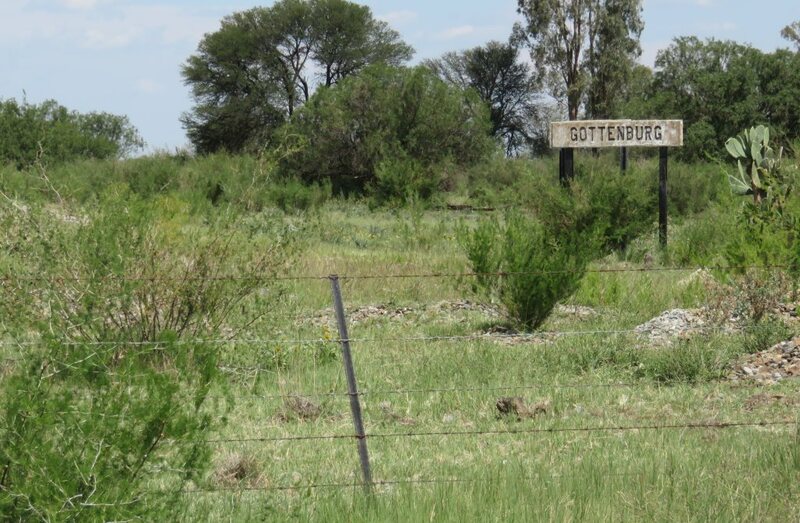 During the Boer War it was closely guarded by the British. At the bridge was a sentry post, as some stone walls still show, on the east side of the far end coming from Heilbron. On top of the hill to the north east of the bridge was a British fort from the Boer War, clearly visible by its rectangular shape on Google Earth. A bit of a mystery are the foundations of a non-existing bridge a few meters west from the big bridge. Some of the steel works was visible laying in the river until a few years ago. Following the run of the line on Google Earth takes it to underneath the present bridge and up the south side to join the rail near the Weilbach station. Thus there is no doubt that it was a bridge for the rail. But why? I'll have to search a bit further to find the answer. I have found the answer in the picture that shows the bridge under construction supplied by Nico Moolman. 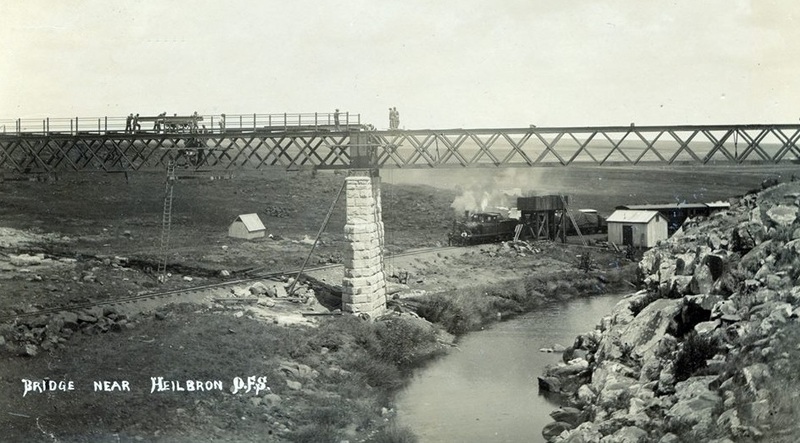 This low level bridge was a temporary bridge to connect the rail to Heilbron whilst the bridge was under construction. It was also used to make construction easier by lifting the steel parts from below to the top of the bridge. The unanswered question is when was the permanent bridge completed. There is one source stating that this was done only after the war. Occasionally there is a train coming up from the south. It can only come up to here. 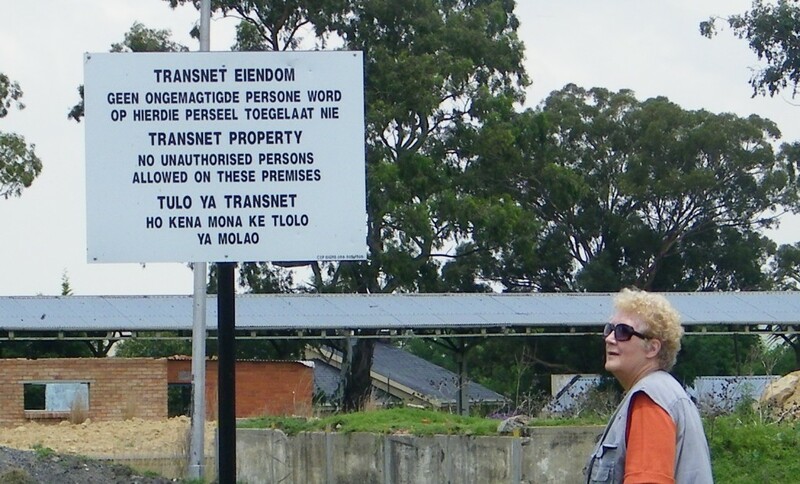 The station itself is not operational and is protected by a sign warning not to trespass. 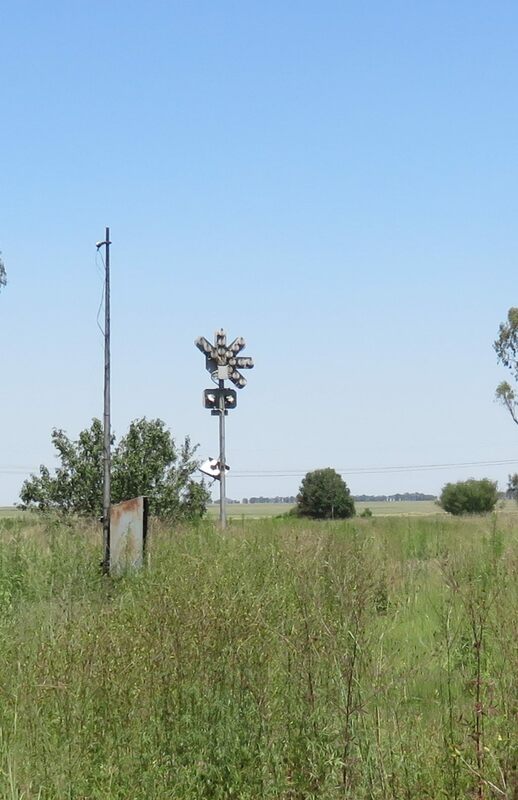 I have covered the station in the Heilbron website , thus no need to write further here.